Shell Australia confirmed that its Prelude floating liquefied natural gas (FLNG) facility arrived in West Australian waters in late July. 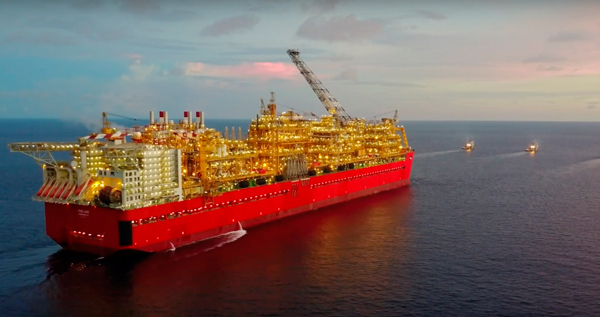 Prelude is the first deployment of Shell’s FLNG technology, that will see a 488-m long floating facility extracting and liquefying gas at sea, before it is exported to customers around the globe. The project is located approximately 475 km northeast of Broome in Western Australia. Yujnovich said Shell had awarded a majority of Prelude contracts to Australian contractors, including the contract to Australian engineering company Monadelphous for maintenance and modification services valued at $200 million. “Prelude is an Australian project and Shell has recognized how important it is to build strong partnerships with Australian industry,” she said. “To develop and maintain a safe, high performance culture on the facility, Shell has partnered with South Metropolitan TAFE in Western Australia to develop specific training for Prelude technicians.” One hundred and fifty technicians have been trained across a broad range of critical skills, including helicopter landing and refuelling skills, rigging, scaffolding and first aid. “West Australian based company CIVMEC, a construction and engineering services provider, constructed the four massive anchor piles for Prelude’s subsea flowlines from their facility in Henderson.” The Prelude project will employ 260 local workers on board the facility during operations and create over a 1,500 jobs during the hook-up and commissioning phase of the project. The Prelude is 488 metres long, 74 metres wide and took 260,000 tonnes of steel to build, which is five times that used on the Sydney Harbour Bridge. It will produce 3.6 million tonnes per year of LNG and 1.3 m/t of condensate, a hydrocarbon liquid that is present within the gas. Shell opted for a floating facility that can be moved from one gas reservoir to another, enabling them to economically access fields that would otherwise be too difficult and too costly to develop. The Prelude will be operated by Shell and its joint venture partners INPEX (17.5 per cent) KOGAS (10 per cent) and OPIC (5 per cent). Production is expected to commence in early 2018.